Parking is available off of Grand Ave parking area. California Market Place does not require Knott’s Berry Farm admission and you’re free to dine and stroll through the shops and get one hour free parking if you park right outside the shops. You can receive 2 more hours if you spend $18 or more. Ask your server to validate your parking. Bus Service available from Beach Blvd. Mrs. Knott’s Chicken Dinner Restaurant first opened in 1934 with Mrs. Knott and her children serving the first customers in their tea room. The restaurant has grown over the years into one of the largest in California, but the classic fried chicken dinner is still made the same way today using Mrs. Knott's recipes. 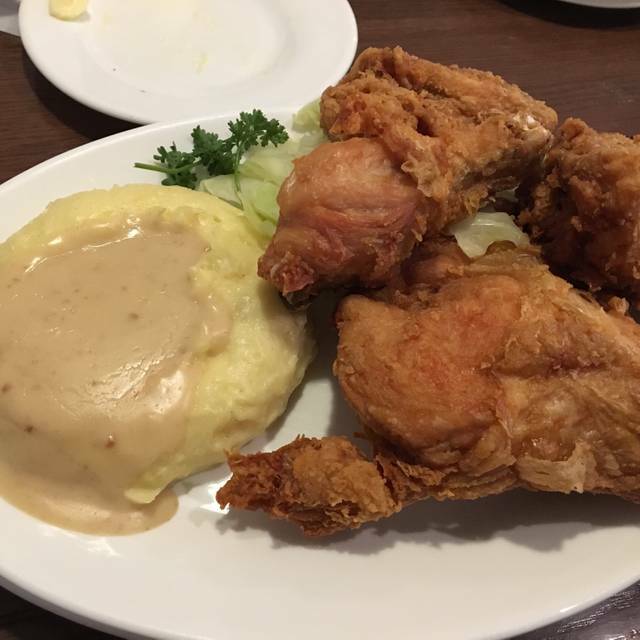 Every complete chicken dinner includes handmade biscuits, side salad, choice of cabbage or cherry rhubarb, three pieces of fried chicken and mashed potatoes smothered in gravy. 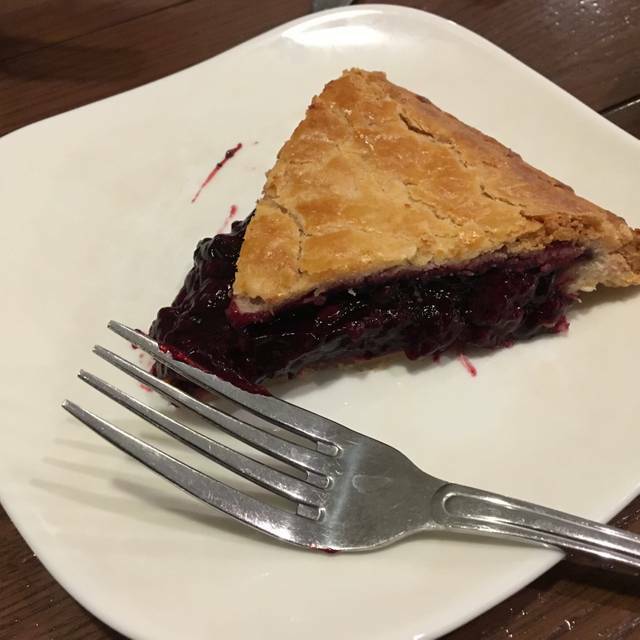 For dessert: your choice of boysenberry pie or boysenberry sherbet. Many other dishes are also available including grilled chicken, salads, open-faced sandwiches and a number of appetizers. 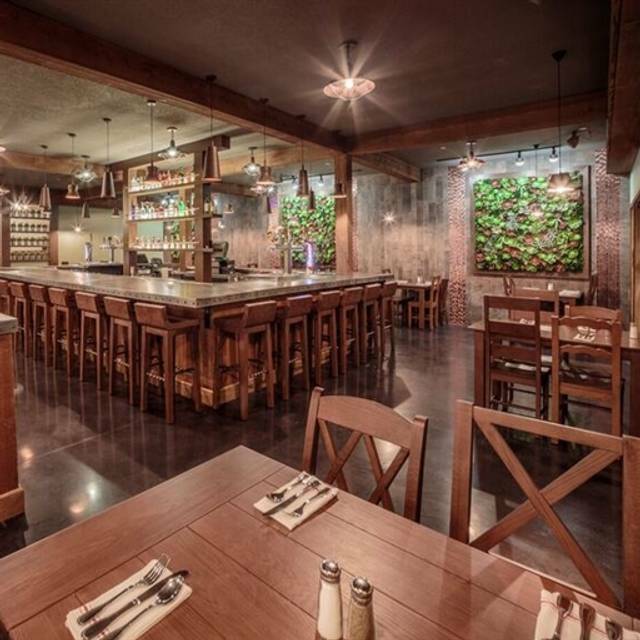 A full-service bar, serving signature boysenberry-infused cocktails, is also available. Whatever you do, do not make a reservation for their last seating if you intend to dine at the buffet. We dined for their buffet Easter Sunday and made a reservation for 6pm, their last of the day. The food was cold and had been sitting out for a while. Completely unappetizing. They started striking the buffet as soon as we got there. They removed the chafing dishes and the labels for the pans so we had to open each one to figure out what was inside. One of the employees told us they were closed and were doing us a "favor" by allowing us to continue dining. Mind you, we just arrived by a reservation made here. 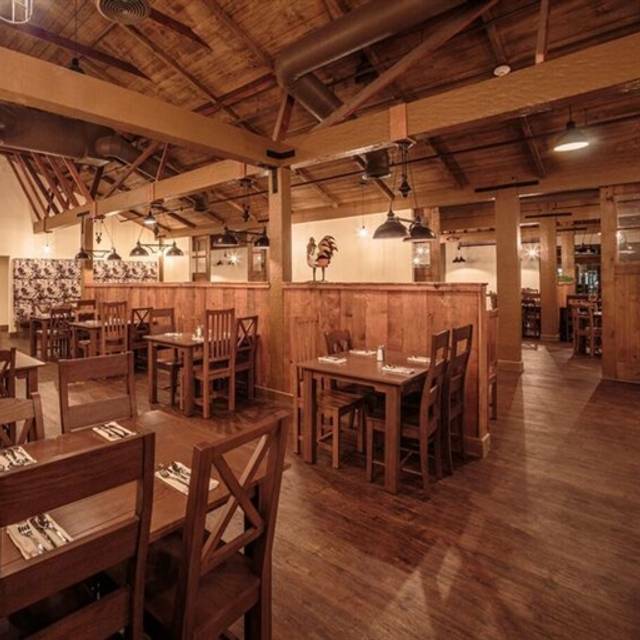 They used to have servers for each table as far as drinks and removing plates goes. Now the drinks are self-service, which isn't too bad, but no one stopped by to remove any plates or even see how we were doing. Complete waste of $50 pp. Spend your money elsewhere. The people are very friendly and accommodating always which makes you comfortable as soon as you walk in the front door. We attended Easter brunch during the Boysenberry Festival which made the experience extra special. The meal starts of with boysenberry champagne which allows you time to take in all the sights and you are never rushed here. 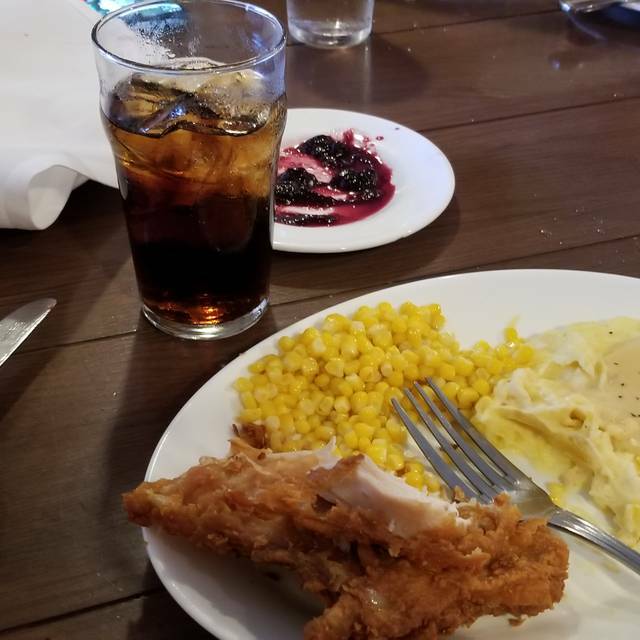 There is a tremendous amount of food available including choice cuts, hand made omletes, various desserts and of course their famous fried chicken also. Some vegetables appear cafeteria in appearance but are quite tasty and shouldn't be avoided. Snoopy usually can be found walking around allong with other characters also who are interactive with children and adults as well. The atmosphere is a little dark and some of the chairs out in reception get a lot of use so they are a bit worn and probably should be replaced. Also, during brunch remember to ask the waiter for a menu so you don't miss out some of their special drinks available during this time. All the food was cold, not a single bite was even slightly warm & we had an early enough reservation that things hadn't been sitting out. We didn't see any burners going under any of the food. My daughter took a bite of a piece of chicken that was pink! I had had a piece prior & it was perfectly cooked but cold. There was NO service, had to get up to get own champagne & coffee and the tables were smashed chairs back to back so this was no small feat. Everyone at our table on one side & everyone at the table behind us had to get up for the person on the end to go to get more food, get coffee, get champagne, use the restroom ... it was NOT fun. half the tables were empty so this maximizing seating was unnecessary. The reservation said they would validate the parking ticket but no one would. They told us to use the receipt which we only had 1 and we were too large a group to fit in 1 car. I could never get thru on the phone and HAD to reserve on open table so when we got to the restaurant we were told to walk all the way around to back. Once there we were instructed to walk all the way to the side park entrance and then we were escorted farther into the park to a different restaurant. Never were we told how far and my 92 yr old great aunt had to struggle. They saw how old and frail she was and never told us it was that far. Oh and renting a wheelchair was $25 ! A Charlie Brown and Snoopy visited to take pictures with kids. Their costumes were cute but the Charlie Brown was spending all his time with the escorting female, dancing with her and touching with her in borderline sexually harassing ways! with kids around ! This park employee would untangle herself from Charlie Brown & run away then have to come back. It was uncomfortable and not at all entertaining. Charlie Brown then started doing a swirling finger by the side of his head to imply she was nuts. I can go on but I suggest a manager review these operations & train their staff TASTE the food! Easter Brunch was delicious! Many delicious bite-sized desserts to choose from, including boysenberry cannoli, a chocolate fountain and carrot cake. Service was outstanding. Prime rib was a favorite, as well as the enchiladas and corn tamales. Great meal! The food was delicious bc it came out quick & fresh. Our server Linda was such a sweetheart. The only thing was checking in. Even though I checked in early in person with concierge, the Open Table app said I did not. Then I had to go back to the desk past my 800pm reservation when I was told I would be seated a bit before my reservation time. Idk if it is the app or the restaurant reps that do not have a clear communication. Thank You to the manager Anthony who checked on us. Our server was great! Tony said he’s been there over 25 years and I can see why. He was truly the best “customer service” type of server we have ever had, anywhere!!! Its a once and done kind if place. Chicken was a bit dry this time. I guess we had a better experience the first time. The quality of the food and service was definitely a step down from the last time we ate here. I ordered the Chicken Pot Pie and not sure how they could call it that since chicken was definitely not the main ingredient. We were excited to take out of town guests to a spot with a great reputation for tasty food and unfortunately it just didn’t hit the mark. Probably won’t return any time soon. We had a reservation and they sat people that didnt have a reservation before my family. And they finally sat us after waiting at least 20 min. And then sat another 15 min. And no one ever came to our table to take our order or ask us for drinks. We ended up leaving and I did bring it to one of the workers attention and he seemed to not care. This place has the worst service ever. I will be letting my friends and family know not to go here. The fried chicken is a must. Both the lunch and dinner come with extras that make them a good deal. We also ordered the chicken strips...they were dry but the fries they came with made up for them. Cute farmhouse interior. The waitress got made we were seated at a certain table by the hostess then had us moved...kinda odd, they should be working in conjunction and not inconveniencing guests. Made reservations and walked right in. The food was great. I got the Mrs. Knotts chicken ,lots of food. The service was horrible. We had reservation at 8pm, I arrived at 7:45 and checked in, received a text message right before 8 to check in and had to check in again... Sat at the table almost 30 minutes before we were asked about drinks... Service was so slow. The person seemed new and was not asking for help. Another team member finally noticed after an hour of sitting and no food had arrived. Once we were served we continued to be checked in on but after sitting for an hour already starving we barely enjoyed the meal. It was a long day in the amusement park and we has hoped to enjoy dinner at the famous restaurant for the first time. We've had better experience with the restaurants in the park and spent a lot less on dinner. I will try this restaurant again hopefully this was just a fluke. The food was good and huge portions. Parking was kind of easy to follow. They didn't have or table requested as we arrived on time. When we finally got are table everything was fine until we recieved our food. It didn't come out piping hot, others may find lukewarm appealing not me. After remaking it it was much better. Service was excellent. we have had more. knotts many times in the past. the chicken was crispy but little bland this time not a lot of flavor. on a high note the boynsebrry pie was great. 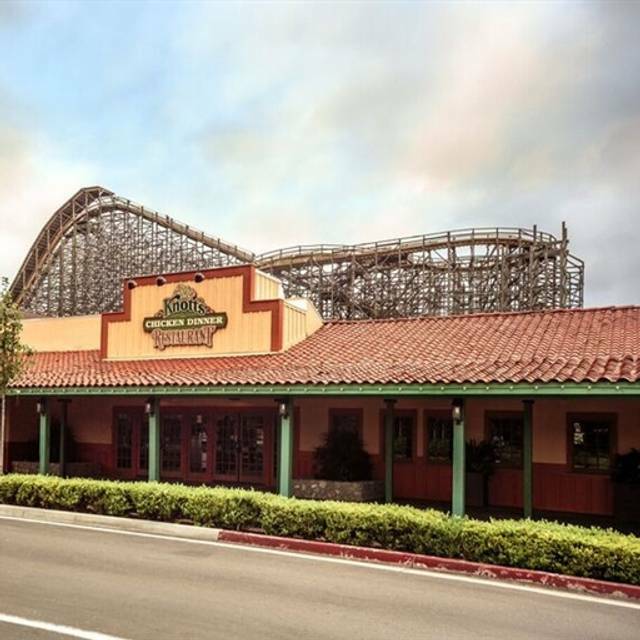 It is a tradition to go to Knott's chicken dinner or lunch. As usual it was good. Our server was great. She was the best. Couldn't have asked for a better lunch outing for me and my daughter and then we went to the Boysenberry Festival for the day. Thank you. Enjoyed the restaurant very much. The menu is very limited, but you should go for the chicken! The service was exceptional. Food was delicious, service was slow but then again it opened up at 11am, A/C was on making the Tea Room Dining Area cold, the table was wobbly the screws were unscrewing themselves and the window blinds needed cleaning. Every employee there was nice and helpful. Great service. Our waitress was always available and stopped by our table on a regular schedule. I enjoyed the food, however I would have liked more choices, such as the boysenberry wings or boysenberry jumbalya. Also, the food was room temperature, would have been nice to have a hotter temperature of food. The chicken was delicious also, would have like to have hot sauce and a biscuit to go with it. My family and I came in for boysenberry sunday brunch to try some of the seasonal food. Our only complaint was that for the foods that had the jam on it for flavoring that seedless jam was not used. It was very disheartening to bit into something only to find a seed and have to stop and spit it out. Boysenberry brunch was delicious! We wish it was offered every weekend! Make sure you have a big appetite, so many items offered! Boysenberry mimosas, yummy! The boysenberry brunch was absolutely amazing and delicious. 100% reccomend going. We went to Mrs. Knott's kitchen for the Boysenberry Brunch on Sunday during the Boysenberry Festival. It was so fun and super tasty! It was much easier to taste all the boysenberry recipes with out have to find them in the park and wait in lines. The boysenberry mimosas were delicious. We came when they first opened so everything was fresh and ready. They were very busy and the device was a little lacking because they had to get too many things for too many people all at once. They did their best but it got too packed too soon. Overall, we loved it and will do it again next year for sure. I think it is a new family tradition for us. I have been coming Mrs. Knott's Chicken Dinner House for over 60 years. Needless to say, there have been many changes, from the type of chicken breast to the change in jam (now Smuckers). I now noticed another difference... the gravy. It used to have bits of chicken in it, and tasted more home-made than it does now. So many changes over the years, and not for the better. Also, to charge over $4.00 for a soda is ridiculous. You can go to a bar and pay less. Because the quality has gone downhill, I won't go nearly as often as I used to. 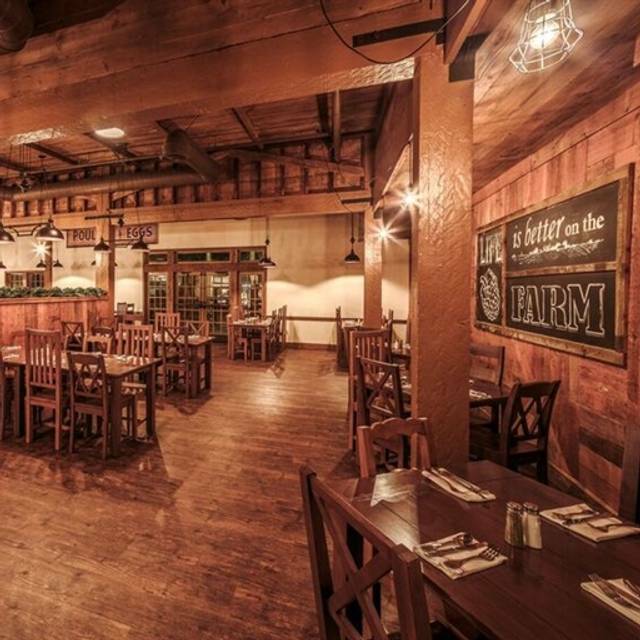 The only reason I would recommend the restaurant is it is an American historical place with lots of Knott family history...but, unfortunately, a history and tradition that has not been kept up by the new company that has purchased Knott's Berry Farm. Sad, like so many other landmarks in the USA. However, the current generation won't know the difference. Having eaten here several times there is a noticable downturn in quality. The fried chicken had a funny flavor, the mashed potatoes were cold and hard. The whole dinner was lacklustre. It seemed that they have chosen the path of quantity over continued quality. At $21.99 a plate quality should be the number one priority. Had a great time. Chicken dinner was great as always. Waiter was great! This place is so famous we had to try it. Maybe by 1934 standards the food is great, but not by 2019 standards. The chicken was dry and tough, the mashed potatoes like glue, and the salad so unimaginative. Just a bag of lettuce dumped on a plate with some cherry tomatoes tossed on it. The bartender is AWFUL, not sure what kind of vodka they serve but it tasted like sea water. The service was horrendous. I feel bad for tourists. Over priced for the value. Fast turnaround on food order. Acceptable wait time to be seated. Food was above average. Horrible birthday meal that cost way too much! Took my mother there for lunch. 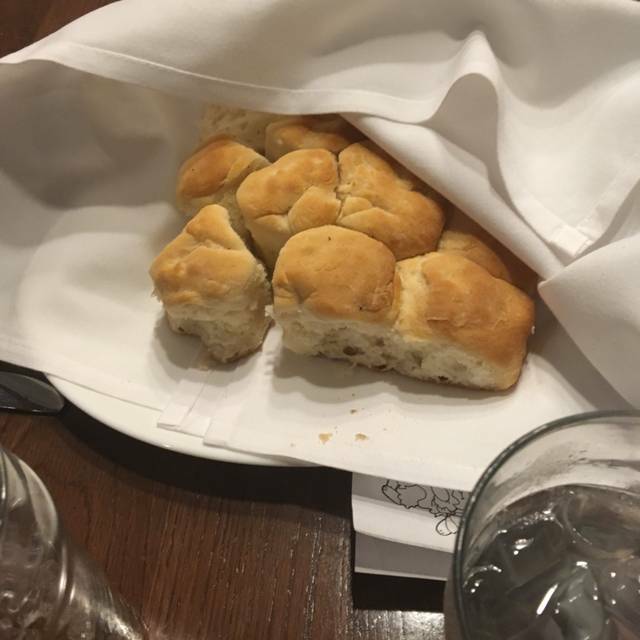 Food was not quite as good as usual, especially the biscuits. Service was fine. With our reservation we were seated right away which was very nice. Has always been a treat to dine there. Yesterday we were reminded that food doesn't have to be fancy to be good. I chose a salad for a starter, my wife went for chicken noodle soup. The salad was a bowl of very fresh, very crisp lettuce with a beautifully tangy honey-mustard dressing. The only fault was that there was a little more dressing than I would have liked. Next time, I will ask for the dressing on the side. The soup was good but not (to my taste) as outstanding as the salad. But the fried chicken was just... yum! Simple perfection.The photographs don't do it justice. They look like the chicken pieces have a thick, heavy crust. IN reality they have just enough crunch to make a noise when you bite into it. Not heavy at all. The mashed potatoes with chicken gravy were also very good. 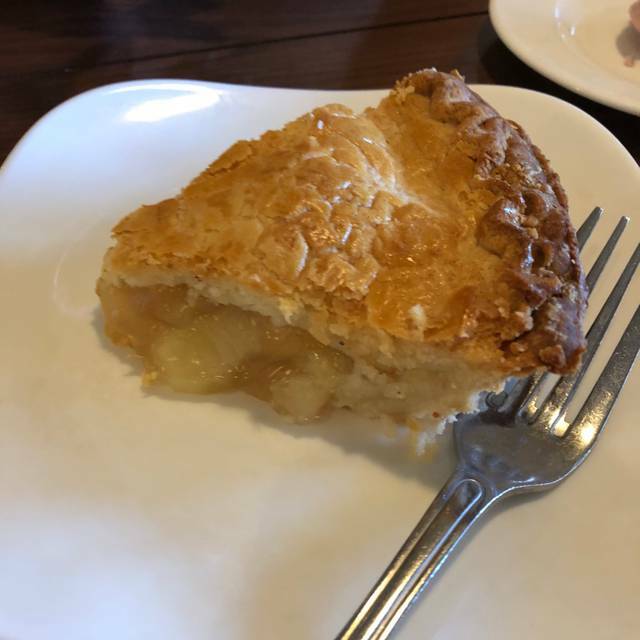 And the pie: just wonderful. A perfect blend of flavors in the filling, and the crust was just wonderful. Marie Callendar's, eat your heart out! The ice cream was so good, we've decided that next time we'll take one of those "keep food cold" chests with us, and pre-load it with dry ice from our local market. Bring home a quart of the stuff. Just so much better than anything you find at the local market, including the "premium" brands. One person in our party ordered chicken strips and they were burnt. By the time she mentioned that they were too burnt and didn’t have much flavor. The rest of us were finished eating and we’re ready to go into the park so we didn’t mention it to the waitress. We love mrs knotts fried chicken, we even come from the IE to pick up chicken to go!! !